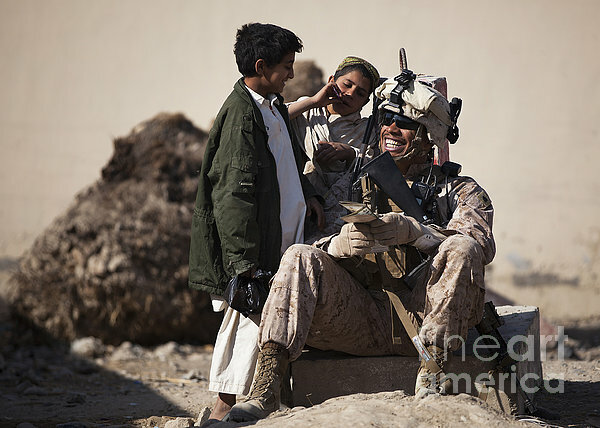 There are no comments for U.s. Marine Practices Pashto. Click here to post the first comment. 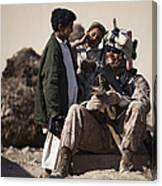 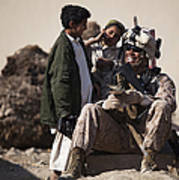 U.S. Marine practices Pashto with Afghan boys while providing security outside the district center.